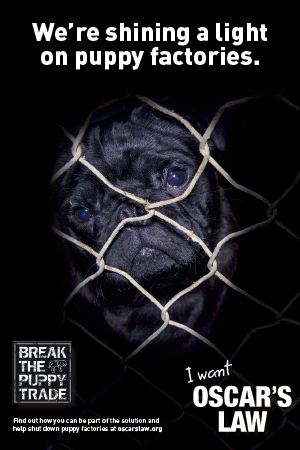 No one wants to think about when their pug is no longer with you. It sad but true, pugs don’t live long lives. No dog does. If we could have them live forever, we would. 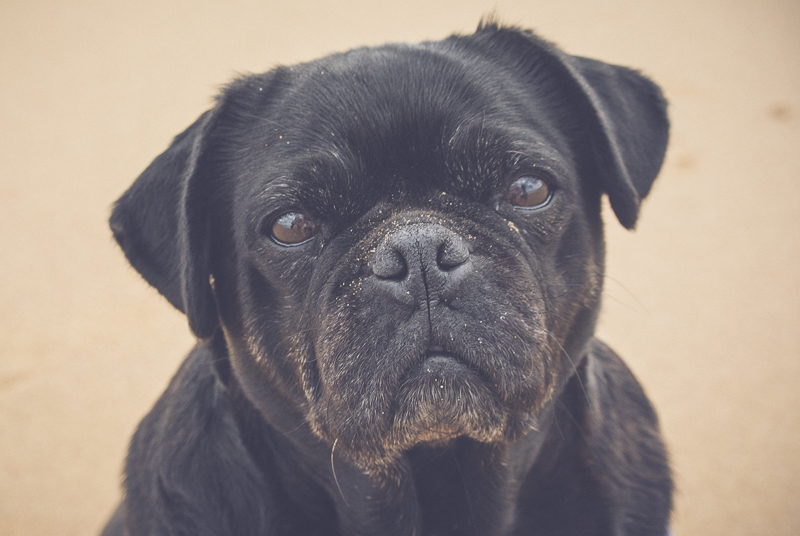 Since their lives are too short, it is so important to have photos of your pug that will help you to remember the good times when they have gone. There are 10 photos every pug parent should have of their pug! 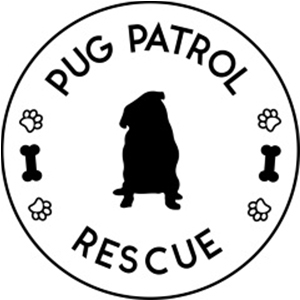 Photos will last forever and pugs grow so fast and change so quickly that you will not only want to just have these photos of them but you will want to have them taken every year of their life. Document those changes. Document those moments. Don’t miss a thing and remember every detail with these 10 photos every pug parent should have of their pug. That squishy face. Those eyes that tell a story. Those eyebrows that change with the expression on their face. It is the first thing you will remember of your pug. Their face! Every little detail. So without any doubt, the first photo every pug parent should have of their pug is a close up of their face. And not just once either. Take the same photo, in the same location, every month and build a story. Remember every expression, every detail as they grow and change. A classic photo to have is one of your pug sitting. Or more than one since pugs like to sit in many different ways. There is the proud sitting tall photo. Or perhaps the slumped couch potato photo. Or just the good ol’ sitting normal. The classic sitting pose will never go astray in your collection of photos of your pug. Show off that body of theirs! 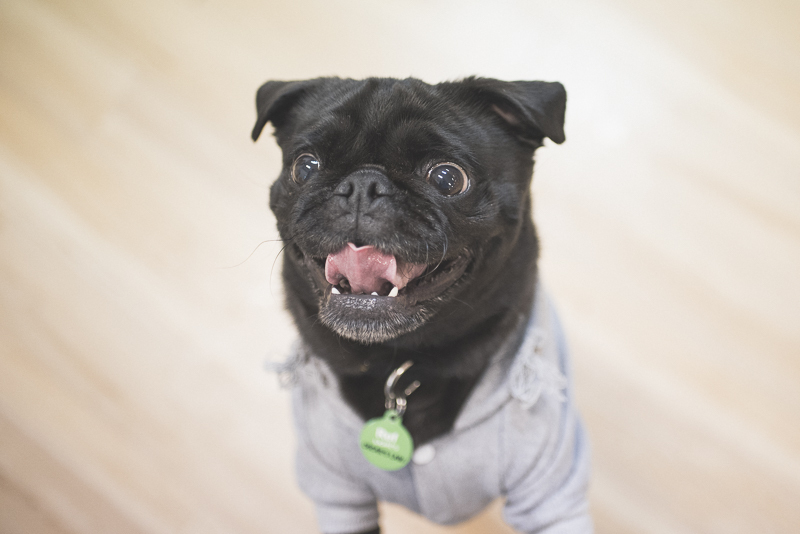 Yep, I know it sounds obvious but getting a good standing photo of your pug will show off their body. Make sure you get one of the facing you but also side on showing off that pug structure. 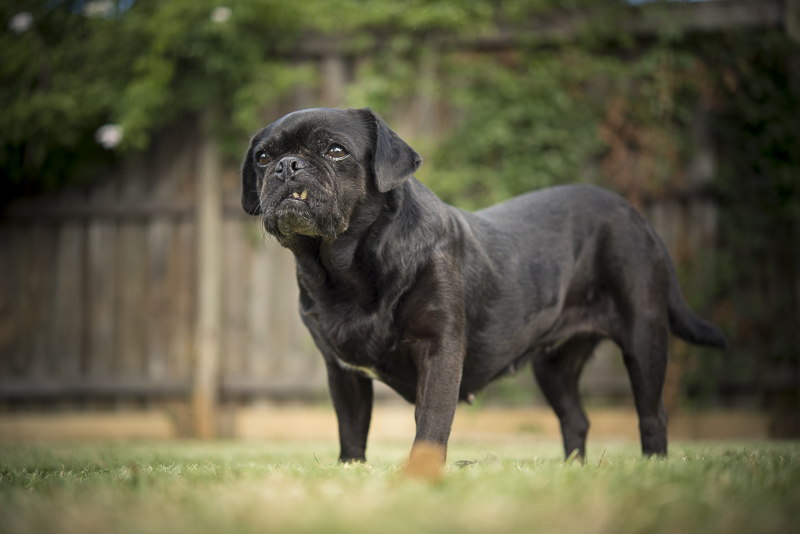 Think the classic show dog pose that will really show off how amazing your pug looks. 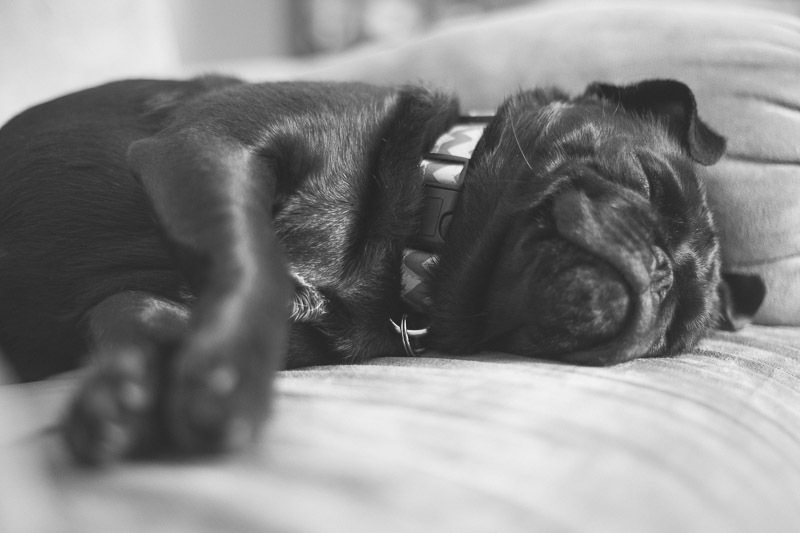 Pugs are just the sweetest when they sleep. I love getting a photo or two when they are asleep. A close up of their face all squished in their bed. The really relaxed and sprawled out sleeping photo. The under the blanket, head on pillow photo. The curled up in their bed photo. You name it, take it. They are so peaceful when sleeping so take a photo to remember it. 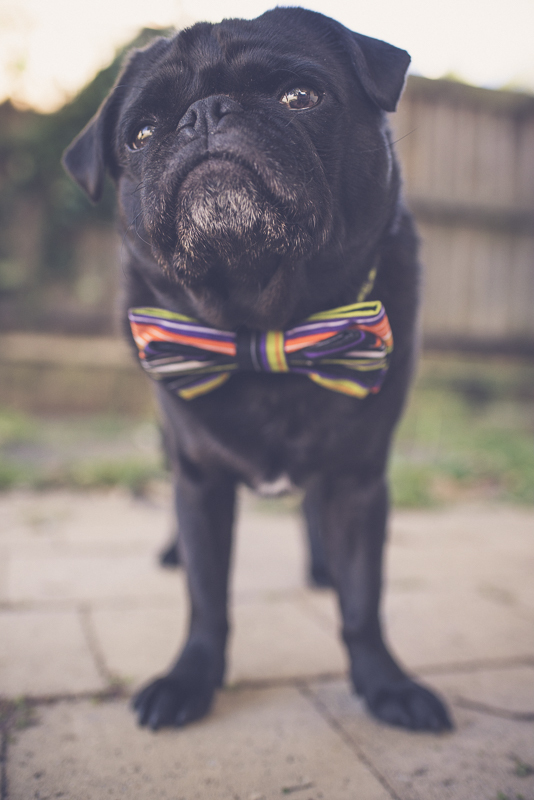 Now this is a photo that you will want to have that shows off your pug’s fun side. The playfulness of your pug. Whether it may be them playing with their favourite toy, another dog, running about or having fun with their favourite human. A fun and happy photo that every pug parent should have. It is all in the details. It is easy to remember their expressive face but all of the other little details are much easier to forget. So take some photos of all of those little details starting with their paws. 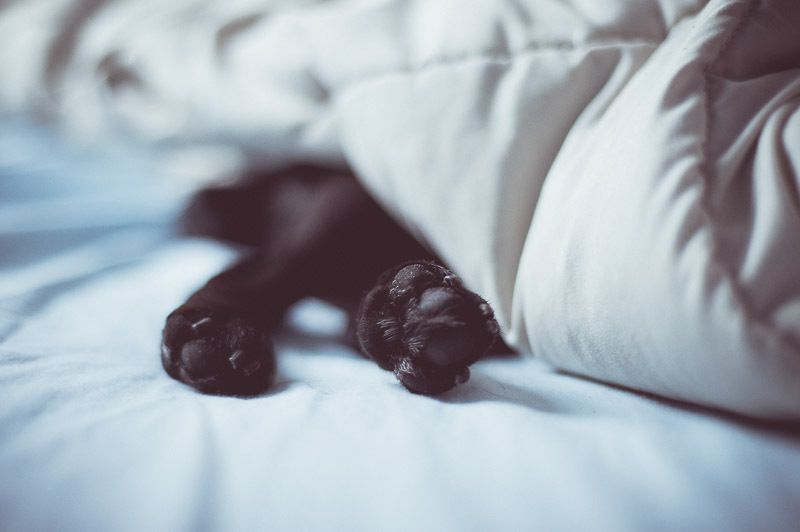 As they grow older and start going grey, their paws are one of the first to change and get grey hairs so don’t forget to get photos of their paws as they change. Of all of the details of a pug, my favourite is hands down their tail. 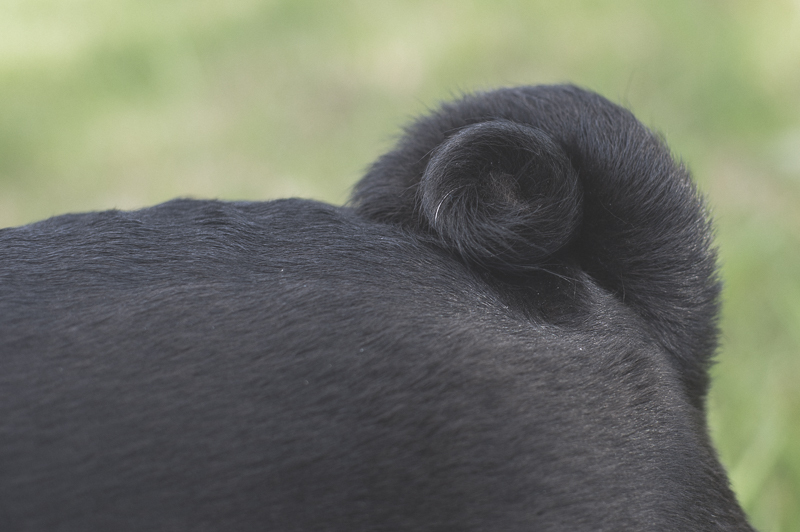 Every single pug you meet will have a different curl to their tail. Tight curls, loose curls, big loopy curls and my favourite the double curl. Oh and then depending on which way you look at their tail, it looks different so take photos of their tail from both sides, the back and even the top. The nose of a dog is like the fingerprint of a human. There is no single dog nose the same. Totally unique so this is hands down a must have photo of your pug. 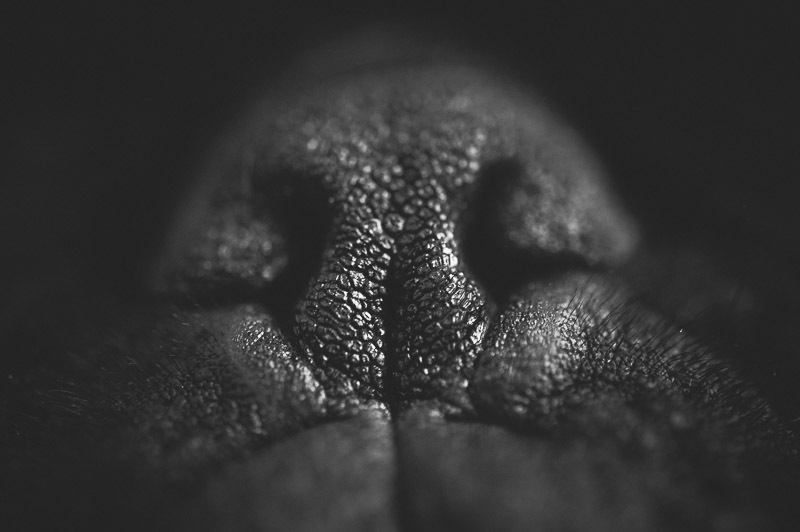 Now when you take a photo of your pug’s nose, you want to get in once and close. This is where a macro lens or feature comes in handy cause it will let you get nice and close whilst keeping the photo in focus and sharp. Getting in close will let you get all of those tiny little details that makes your pug’s nose totally unique to them. 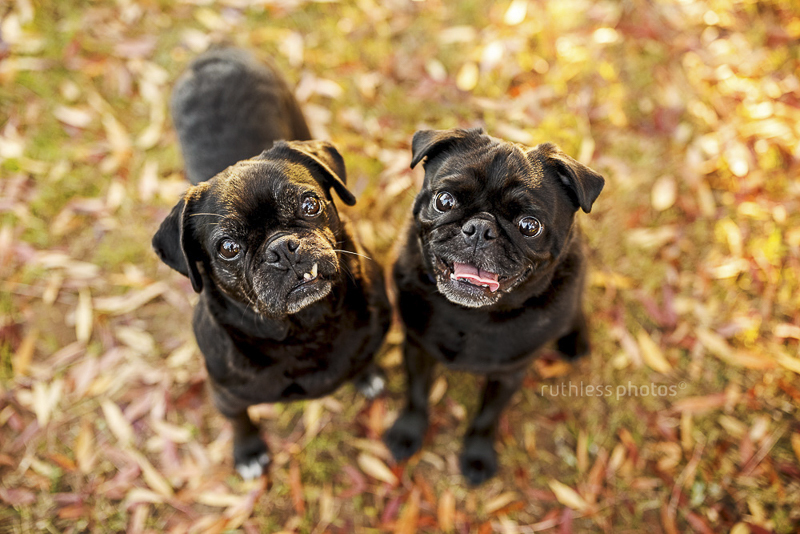 For someone, like me, who has studied photography, had a photography business and takes photos all the time of her pugs, there is nothing quite like having photos taken by a professional pet photographer. 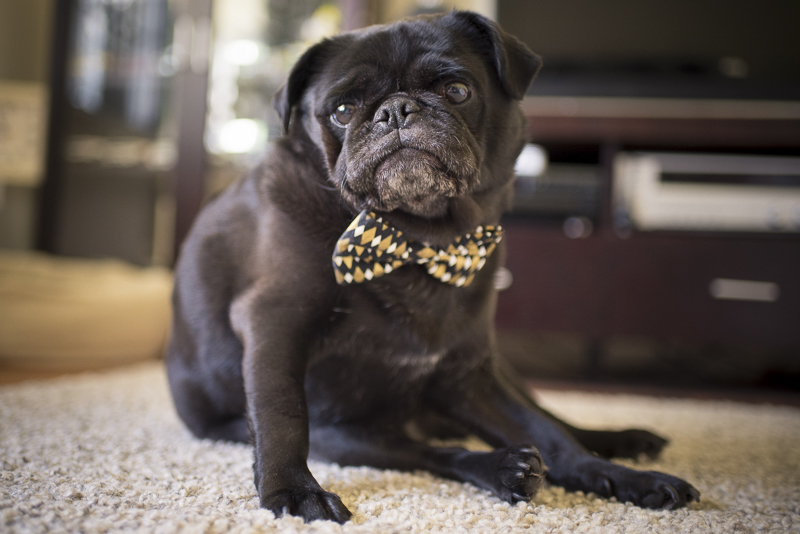 A pro pet photographer knows just how to get the perfect photo of your pug that not only looks amazing but truly captures the personality of your pug. It would be that infectious smile, that crazy run, the enjoyment on their face for their favourite game, toy or food. It is their craft and every single cent you spend on it will be so worth it. I cannot stress enough how important it is to be in the photos you have of your pug. 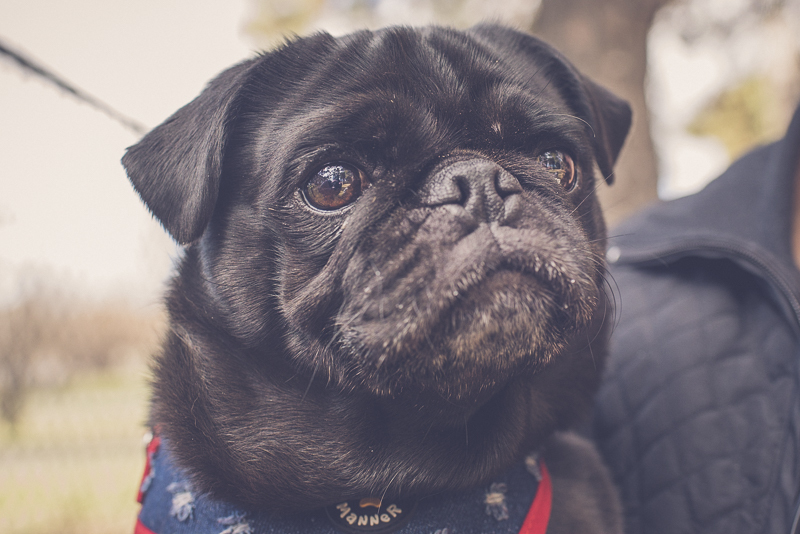 I would say, if you can only ever afford to have a professional pet photographer take photos of your pug once in their life, you have to make sure you have photos with them. 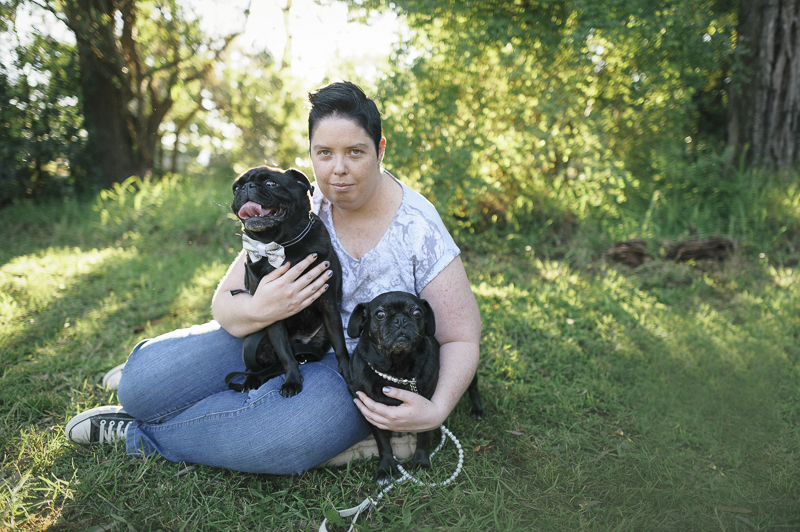 Have a pro capture the relationship between you and your pug cause that is something special. You will look back at those photos and think it was the best thing you every did. I know I do!